Kevin Pietersen has apparently called for emergency talks with the ECB over the role of coach Peter Moores in the England setup. 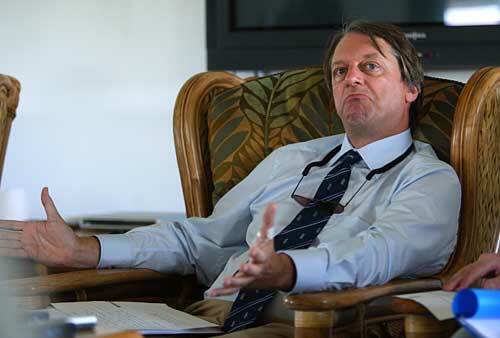 Once Giles Clarke gets back from holiday, KP is believed to be very keen to discuss the state of his working relationship with the beleaguered Moores. Given that it’s only three weeks until the squad departs for their tour of the West Indies, any further breakdown in the working relationship between captain and coach (who weren’t ever the most comfortable of bedfellows, and have certainly had their differences) could be potentially disastrous for the tourists. The outcome of these ‘discussions’ could have far-reaching consequences for English cricket, if all the stories are to be believed. Do Australia bounce back from their first series defeat since 1992 and restore themselves atop the Test cricketing world? Or is it over for the Aussies? Do South Africa establish themselves as the new Australia, merciless and ruthless with a deadly bowling attack (yes, even Paul Harris) and annoyingly successful batsmen, as Australia sink down the rankings to the level currently occupied by England? 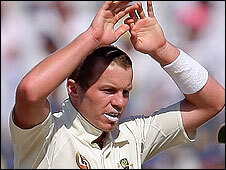 Does Ponting survive (as captain, I mean, he is surely not in danger of losing his place as a batsman)? Whilst the attention of the cricketing world has been elsewhere, Bangladesh have been battling away in Dhaka, taking their Test match against Sri Lanka into a fifth day. The fact that the Tigers’ supremely unlikely chase of 521 will continue tomorrow is largely due to Mohammad Ashraful and Shakib Al Hasan, both of who will resume tomorrow to try and extend their partnership of 74. 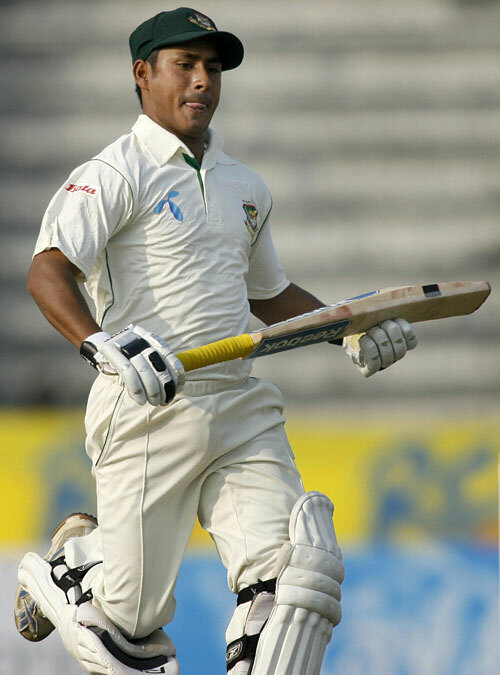 Ashraful in particular looked impressive while making his first half-century in nearly 20 innings, and Al Hasan is a contender for the home side’s man of the match, given his five-for in the first innings. Earlier, Tamim Iqbal had made 47 before getting out rashly. For the tourists, Bangladesh’s fightback is an inconvenience, but the might of Murali is likely to be too much for the hosts to hold out. And Mendis will be back in the side for the Second Test, so things will only get harder for the Tigers. Either England’s selectors have come to their senses, or the crazed combination of staunch conservatism and random stick-a-pin-in-Playfair changes has accidentally happened upon something approaching reason. Not only is Michael Vaughan, who was given a central contract as part of the ECB’s continuing commitment to 2005 nostalgia, not included in the squad for the strangely logical reason that he is in poor form, but no less than two of my Ones to Watch have been selected to tour the Windies – Adil Rashid for the Test side, and Steve Davies in the One-Day squad. What’s next? Batsmen being dropped for not making runs? An acceptance that Alastair Cook is not a Twenty20 opener? Australia have, for the second Test match running, let South Africa off the hook. In Perth, they allowed to tourists to chase down a preposterous 414 for victory, and in the current match at the MCG, they conceded a first-innings deficit despite a strong performance from Peter Siddle in particular which had at one stage reduced the tourists to 184/7 in reply to Australia’s 394. Although JP Duminy deserves credit for his remarkable innings, it is tempting to speculate how many he would have scored against a more experienced attack. With Brett Lee (who would, in fairness, probably have been dropped anyway) out with a foot injury, the hosts will most likely go into the final Test with a massively inexperienced bowling unit. The days of Warne and McGrath seem now to be of a different era, even though it’s only 2 years or so since they were both in the Australian side. Australia’s bowling attack has been crying out for someone to back up Mitchell Johnson in the wicket-taking stakes, and Peter ‘Vicious’ Siddle seems to have volunteered. He took the wickets of Smith, Devilliers and McKenzie as Australia put South Africa well and truly on the back foot in the Boxing Day Test. Stuart Clark’s recovery from injury may now be more of a pressing subject for the consideration of Brett Lee (13-2-68-0) than it was a couple of days ago. The tourists, meanwhile, are in trouble.